Too often in my executive coaching I run across a senior leader who will confess to me that they aren’t sure why they ever went into management. I’m always curious to ask what they would love to do instead and almost all of them share they would rather be “doing” than “leading” and a small minority tell me they just plain hate organizational politics and would rather work for themselves and start their own business. Maybe not all of us “have the right stuff” to be leaders. It’s a lot more popular to subscribe to “leaders are made” versus “leaders are born” but perhaps research suggests that both positions are right. For example, Avery and colleagues, based on twin studies, estimate that about 33% of the variance in holding leadership roles is due to genetic factors (Avery, R.D., Zhang, Z. Avolio, B. & Kreuger, R.F. (2007). Developmental and gentic determinants of leadership role occupancy among women. Journal of Applied Psychology, 92, 693-706). Findings from numerous studies of personality show that genetic effects account for approximately 50% of the variance in five factor domains (Bouchard, T.J. & Loehlin, J.C. (2001). Genes, evolution and personality. Behavior Genetics, 21, 243-273). Maybe we all have some “leadership set-points” that provide a ceiling or upper limit to our leadership capabilities. If leaders truly understood the pre-wiring of the interests, values and motives of talent and tried to use this information to lead them more effectively they would be able to unlock some of the mystery surrounding effective leadership. The four career path preferences summarized below are theory based and measured in one of our assessments called the Career Profile Inventory. Understanding the primary interests, values and motives underlying each can help all of us better understand what our “signature passions” might be. These “paths” also provide some insight about how best to reward and recognize talent to enhance engagement and retention. LEADERSHIP — This career path preference is best characterized by those interested in continually moving vertically up the organizational ladder into traditional supervisory and managerial positions with increasing spans of control, responsibility, power, and authority. Typical career anchors and motives of these individuals include power, influence, leadership, control, task accomplishment, status, managerial competence, and directing others. Appropriate organizational rewards for these individuals might include: upward mobility, promotion, special perks, titles, and organizational symbols of success (e.g., profit sharing incentive plans, company car, stock options, financial planning, expense account, club memberships, etc.). SPECIALIST/INDEPENDENT CONTRIBUTOR — This career path preference is best characterized by those interested in remaining in one career field or profession for much of their working life. Along the way, these specialists are able to highly refine their technical knowledge, skills and abilities. These individuals are less interested in moving up as they are in becoming the expert and having autonomy to do things their way. Typical career anchors and motives of these individuals include technical and functional competence, expertise, skill mastery, service to others, independence, affiliation and security. Appropriate organizational rewards for these individuals might include: job enrichment, continuing education, membership in professional associations, recognition, motivational programs, organizational benefits, sabbaticals, tenure and job security. GENERALIST/PROJECT MANAGEMENT — This career path preference is best characterized by those who gradually change jobs and career over time but utilize the foundation of previously acquired skills, knowledge and abilities. These generalists generally move either laterally or upwards increasing their breadth of knowledge and experience along the way. Individuals who follow this career path tend to prefer new challenges and assignments that will enable them to grow and develop professionally. This career path preference is particularly well suited for project and program management assignments within organizations. Typical career anchors and motives of these individuals include professional growth and personal development, learning, coaching, developing others, and innovation. Appropriate organizational rewards for these individuals might include cross training, job rotation, project management, tuition and educational reimbursement and coaching and mentorship assignments. Typical career anchors and motives of these individuals include: entrepreneurship, achievement, autonomy, variety, risk, challenge, change, freedom from organizational constraints, flexibility, creativity and diversity. Appropriate organizational rewards for these individuals might include flexible schedules, short-term projects, independent contracts, consulting assignments, start-up operations, job sharing, and bonuses. Of course we find combinations of these drivers. For example those of you high in both “specialist” and “entrepreneurial” anchors are likely to be attracted to external consulting. Others with a combination of “managerial” and “generalist” love “fix it” assignments and short term challenges before moving on to another leadership opportunity. One important organizational lesson is to stop teasing that specialist/independent contributor about leadership roles–they really just want to practice their craft and be left alone. Oh, and stop trying to lead them too! 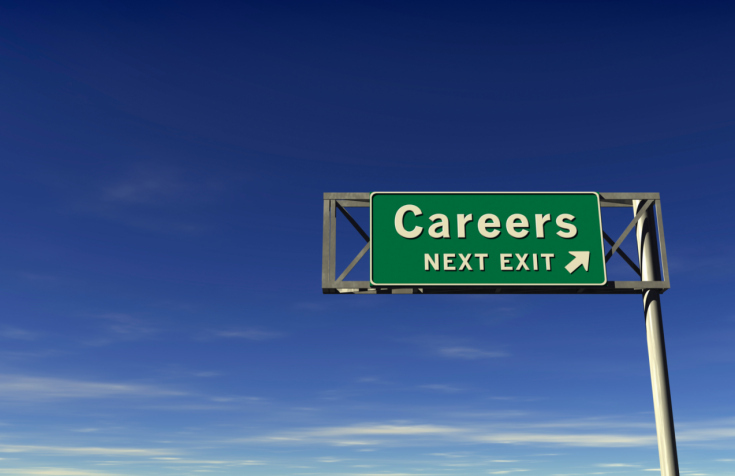 Interested in knowing your own career path preference? Just email me at ken@envisaonline.com and I will set you up for a free career assessment….Be well…. LifeHub, Inc. is a leading provider of health and wellness solutions and recognized experts in the design of online stress, health and leadership assessment and training products. Read all of our company news in our blog section An error has occurred, which probably means the feed is down. Try again later. © 2009 LifeHub, Inc. All Rights Reserved.